The Rangers have recalled forward Matt Beleskey from the Hartford Wolf Pack, and returned forward Tim Gettinger to the AHL. In his four game stint with the Rangers, Gettinger was primarily on the fourth line and was held off the score sheet. 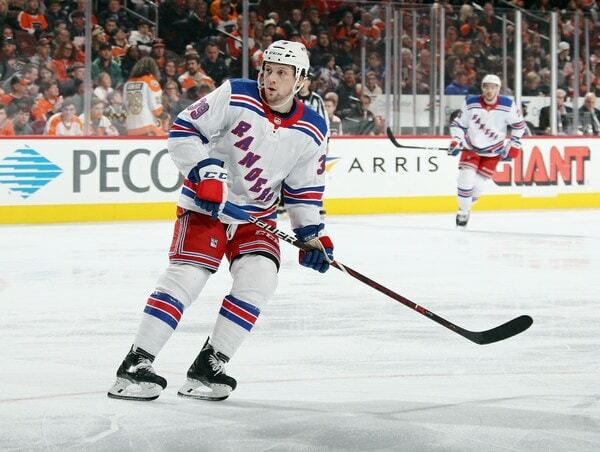 Beleskey, acquired in the Rick Nash trade, has a line of 3-6-9 in 14 games with the Pack this year. He will likely play on the wing on the fourth line while the Rangers heal up. This was likely a matter of seeing what Gettinger had, and then ensuring he got more playing time in the AHL. There is no use in having a prospect toil on the fourth line during prime development year. "Rangers recall Matt Beleskey, return Tim Gettinger to Hartford", 5 out of 5 based on 1 ratings. Gettinger, Fogarty and Lettieri have given no indication that they are NHL players. A good assessment considering they are paying 4th line minutes. If you expect a call up to score immediately then your crazy. This is all pet of the rebuilding process. Give the kid a taste and send them down see how they react. I’ve watched their games and they do have some upside but need to bring it consistently. Also you can’t draft first by winning lots of games. Score goals but you don’t want to win games so you can score Jack Hughes. You need to ice a productthats exciting but doesn’t have much win in them. I’m not expecting them to score. What I am expecting, at minimum, is consistent energy and spark. And that I have not seen. Gettinger is 20 and a pro rookie. You can hardly compare him and his performance to guys like Fogarty (25) and Lettieri (23). This will be interesting. Whether you like him or not, the dude deserves a shot at this point. I hope he does well for the team’s sake. Maybe Quinn can ressurect his game and we can get a 2nd or a 3rd at the deadline for him.